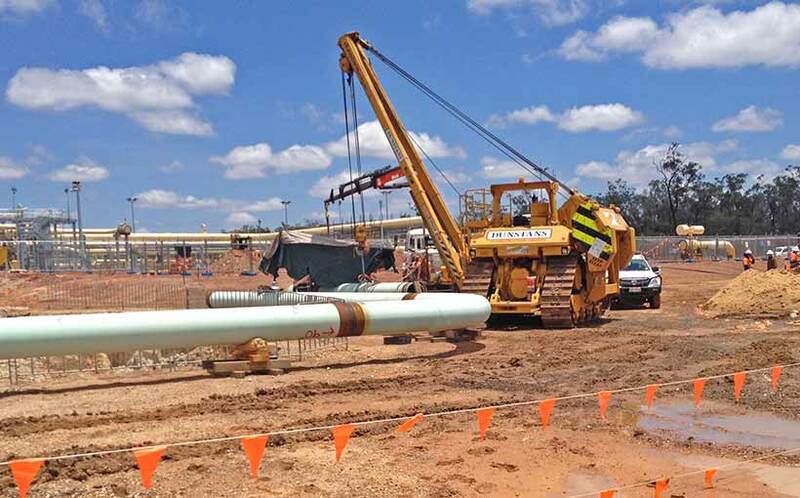 Dunstans Construction Group in alliance with Transfield Services are delivering the WIF interconnect pipeline for QGC near Wandoan, Queensland. Dunstans are supplying equipment and personal to expedite the 1,400 meters of 24 inch carbon steel pipeline construction and tie-ins. Dunstans D954 sidebooms and 50 ton excavators have been instrumental in the efficient delivery of the project. All HDD crossings were successfully completed on time and with time lost due to injury.